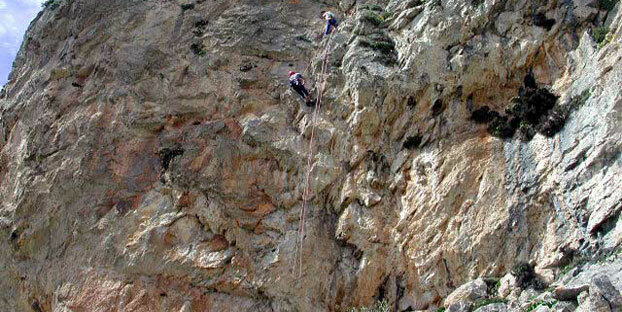 We are going to run a commercial climbing camp around mid September in south Crete. Everyone is welcome to join, without any limits on climbing level. Groups will be split based on experience so improvement is guaranteed! Camping and climbing gear will be provided by us. You will have the chance to get coached from top climbers and climb routes from very easy (4c etc) up to 8c+. Drop me an email at admin@climbincrete.com if you are interested in to join. Cost to be announced via email as it will be fixed based on the total interest. Due to lack of time I wasn't able to update the web site the last few years and hundreads of new routes are not on the web site but you ca get a short idea about some climbing spots. There is also a know issue with the forum which doesn't work properly. I need to re-write part of the code which I hope to finish by the end of October 2017. A major issue arrise a few weeks ago while we've been informed that all bolts bought from a Greek company called Rockland (www.rockland.gr) been problematic and need to be replaced asap. The problem has to do with its steel. We've already found in various places, including climbing areas, broken bolts from that company. This is a major problem as hundread of bolts are already in place mainly in gorges available for canyoning. Be aware to AVOID going to the following gorges until we sort out the bolt thing.